Le Chameau Selects Distribution Direct to Be Its North American Operations Center - Outsourced ecommerce order fulfillment and logistics services for business. Distribution Direct announced today via PRLog that Le Chameau, the artisan French boot maker, has expanded its contract making Distribution Direct its North American operations center. The full press release is available below. Charlotte NC (January 23, 2014) – Le Chameau, the artisan French boot maker, has expanded its contract with Distribution Direct, making the warehouse, distribution and fulfillment company its North American operations center. Since 1927, Le Chameau’s meticulous craftsmen have been hand making each individual pair of boots out of the highest quality luxury materials. Le Chameau’s high-end rain and fashion boots became available in the United States in 2009, and Charlotte-based Distribution Direct has been responsible for warehousing and distributing them since 2013. As part of this contract expansion, Distribution Direct’s CSR Desk, which launched late last fall, now mans Le Chameau’s toll-free customer service line, 1-800-664-9403, and answers all its customer service email inquiries. “We are thrilled that Le Chameau has entrusted their North American operations and their customer care with us,” said Quancy Teal, Distribution Direct Owner and Director of Operations. About Le Chameau: Artisan craftsmanship, innovation and the highest quality luxury materials have always differentiated the Le Chameau boot. 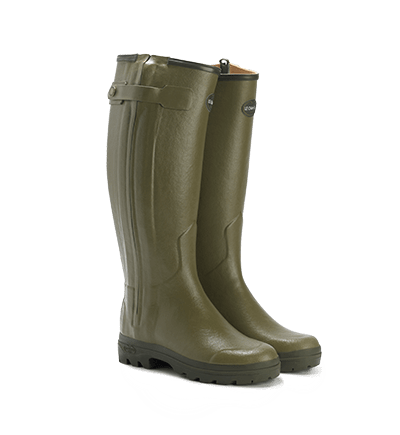 Still produced in their original workshops, each pair of Le Chameau boots is hand crafted by an individual master boot maker. The timeless style of Le Chameau remains the expression of a certain “art de vivre.” Le Chameau boots are available in select stores in the United States as well as online via Amazon and Zappos. For more information, visit www.lechameau.com. About Distribution Direct: Distribution Direct’s 150,000 square foot, safe and secure warehouse is located in Rock Hill, SC, just south of Charlotte, NC and its major trucking and rail routes. The company offers complete warehousing fulfillment and distribution services, including outsourced customer service support, for companies of all sizes located in the U.S. and beyond. For more information, visit www.distributiondirect.com.